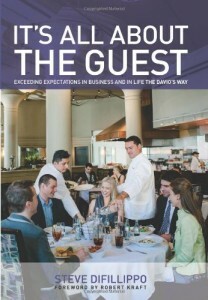 “It’s All About the Guest” is an interesting, albeit slightly flawed read. Steve includes the good and the bad. The flaw is including crude stories including one where a waitress flashes him her chest only covered with whipped cream. That simply serves no purpose besides shock value. A strength is his inclusion of specifics about the restaurant business. Most authors do not include hard operating numbers and advice in a narrative book. He does and it is extremely useful information. I found those details are comparable in less words to books I have read devoted entirely to running the business. He nails it on the head when talking about going the extra mile for your guests. His philosophy and stories reminded me of Nordstrom’s commitment to unexpected service, even when it is not even related to the core business. Summary: Worth the read. Great for the business details and advice. “Brandwashed” is my least favorite book in the last few years. I was only able to make it a few chapters in.